How to Add Tiles in the Tiles and Layout in Quick Settings Panel in Android 4.4.4 KitKat? 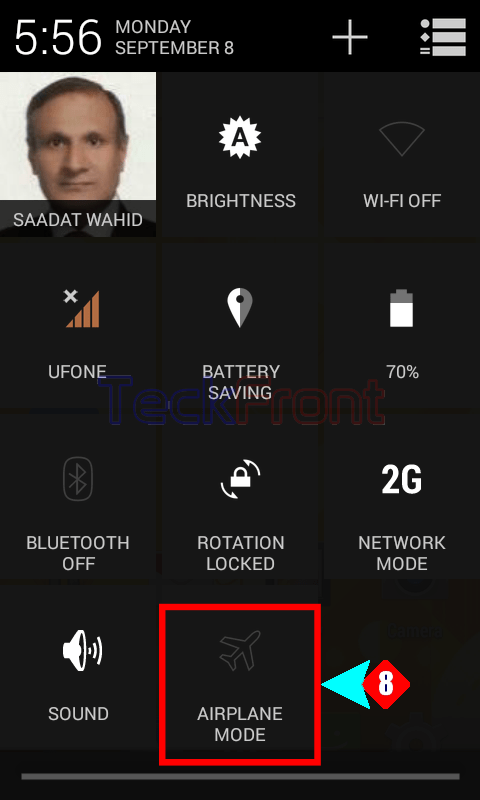 When a user of Android 4.4.4 KitKat opens the ‘Quick Settings’ panel, it is desirable at his / her end to have the appropriate and desired tiles in the Quick Settings panel. 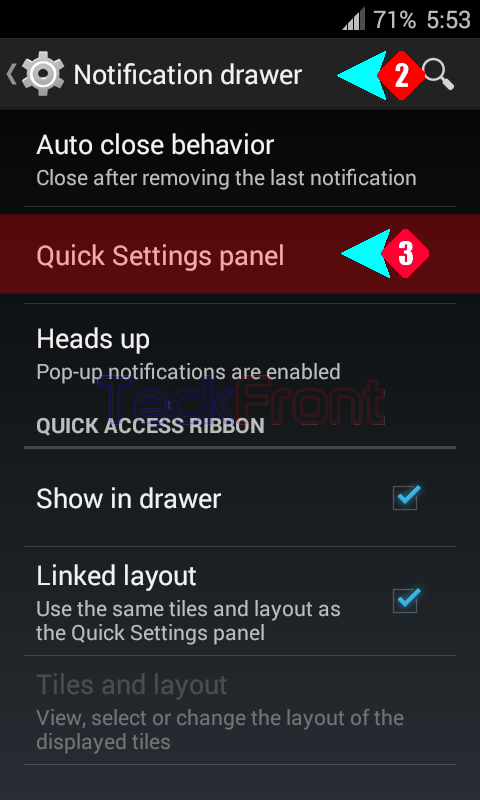 The ‘Quick Settings’ panel in Android 4.4.4 KitKat is designed to be flexible enough to add the tiles, easily and comfortably, at your end. For the purpose, follow the instructions. Command Line: Settings > Notification Drawer – PERSONALIZATION > Quick Settings panel > Tiles and layout – STATIC TILES > Choose a tile. 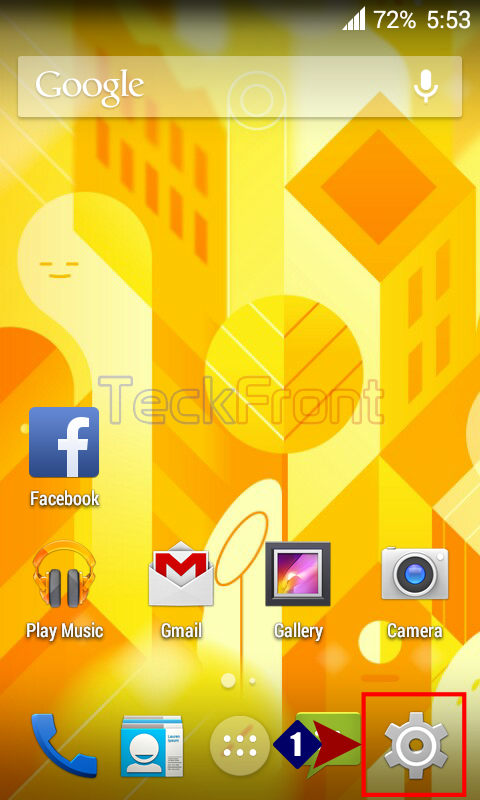 1: Tap ‘Settings’ at the Home screen of your Android 4.4.4 KitKat phone. 2: Tap the ‘Notification Drawer under PERSONLIZATION at the ‘Settings’ screen. 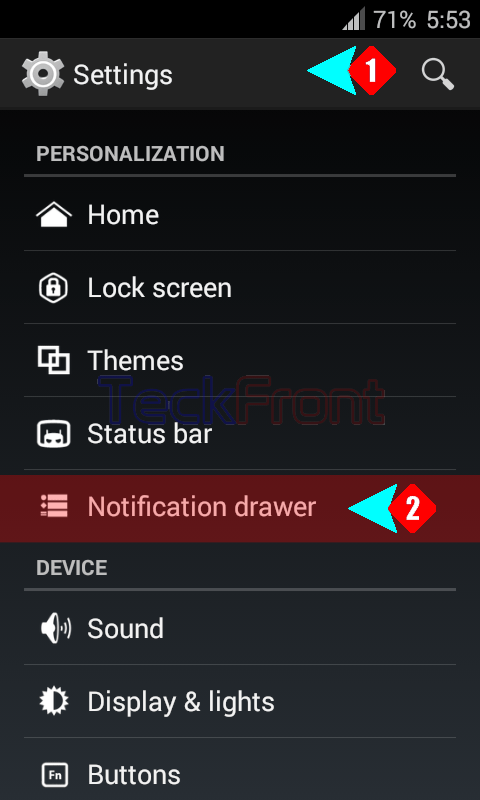 3: At the ‘Notification Drawer’ screen, tap ‘Quick Settings’ panel. 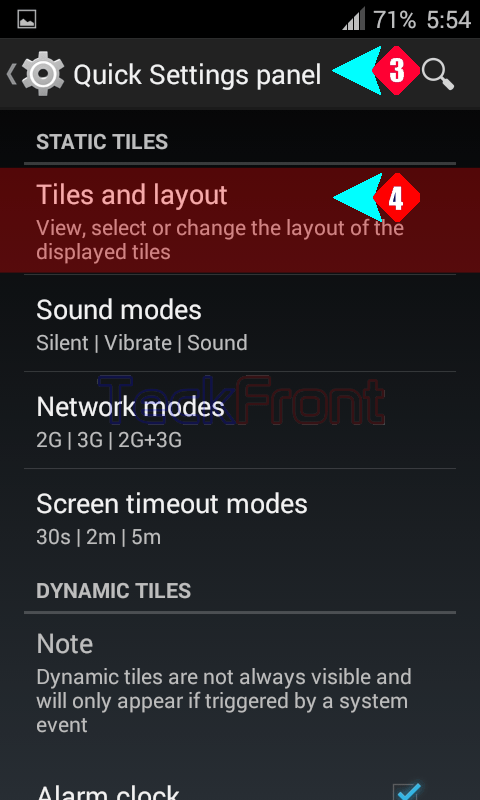 4: Tap ‘Tiles & layout’ under the STATIC TILES at the ‘Quick Settings’ panel to open up the ‘Tiles and layout’ setting screen. 5: At the ‘Tiles and layout’ settings screen, see an icon of ‘+’, named as ADD is available at the end of the ‘Tiles and layout’. 6: If you want to add some new tiles, tap ADD and a screen ‘Choose a tile’ will open up with a long list of many tiles. 7: Tap any icon which you want to add to the tiles and it will be added to the ‘Tiles and layout’ and the ‘Choose a tile’ screen will be closed, automatically. 8: See the selected tile is added on the ‘Tiles and layout’. 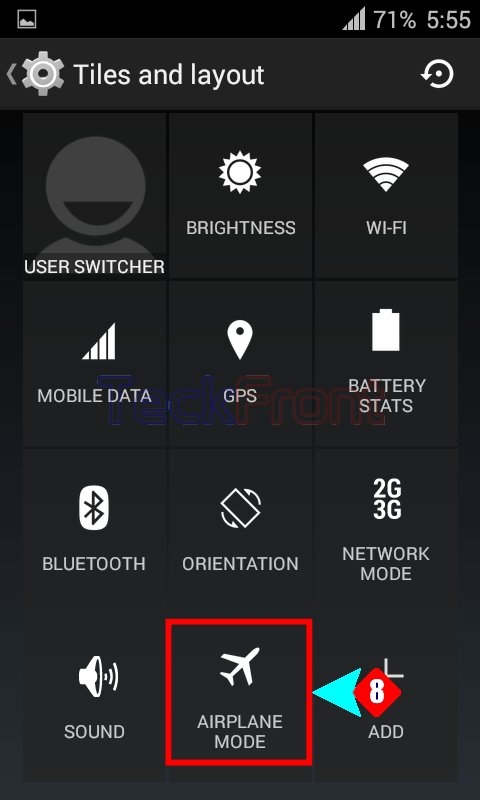 When you will open up the ‘Quick Settings’ panel, you may view the added tile(s). 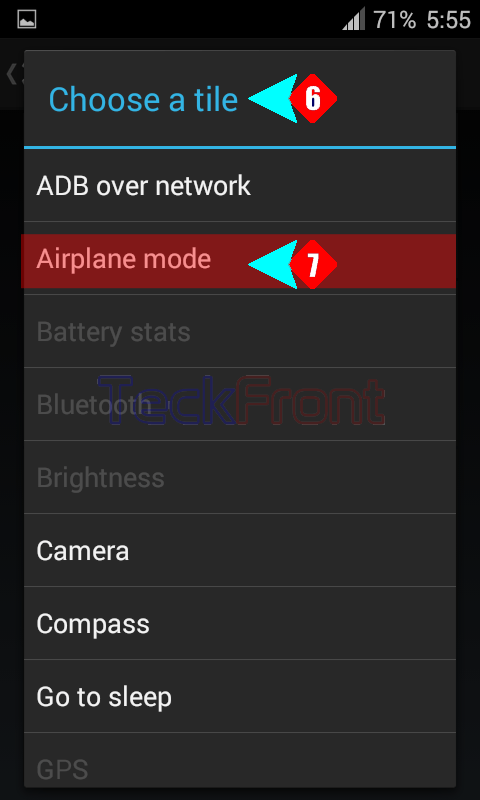 Older How to Set Font Size on the Android 4.4.4 KitKat Phone Screen?